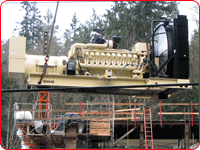 With over 65 years in the industry, Ewing Electric has had an opportunity to be involved with a multitude of academic, medical, industrial, and commercial projects throughout the Puget Sound area. These projects have ranged in size from thousands to multi-million dollars in value. What can you expect when you work with Ewing Electric? Over the years, Ewing Electric, Inc. has developed a unique team approach that allows us to successfully complete demanding, fast-track jobs on-time and under budget, always with safety a number-one priority. Our highly skilled team consists of a large, dedicated core of supervisors and journeymen who together comprise over 200 years experience in the industry and with Ewing Electric… an average of over 13 years per employee. A Project Manager and Field Superintendent are consistently available to support our on-site electricians for each project. Our experienced office personnel perform a multitude of tasks in close cooperation with the field, including estimating, purchasing, material handling, accounting, and general office support to help our projects run smoothly and efficiently with the best economic value to our clients. We appreciate the professional manner in which they coordinated and executed the work on this difficult project. We also appreciated the way they kept the job moving when challenges presented themselves, and went the extra mile to help keep the project on schedule. We look forward for the opportunity to work with Ewing on future projects and consider them one of the best Electrical contractors we have had the pleasure of working with.